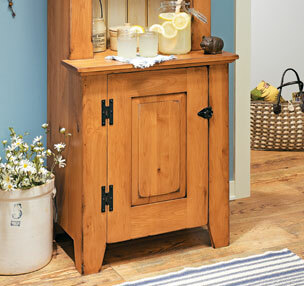 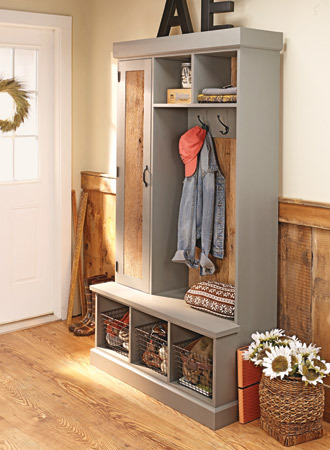 Stack up your storage in any space, in any configuration, any way you like! 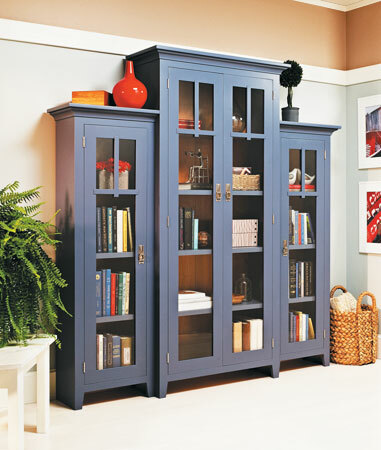 This stylish bookcase consists of a large center case flanked by two smaller cases. 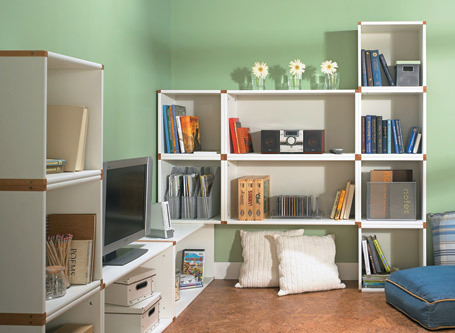 You can build all three or just the main case. 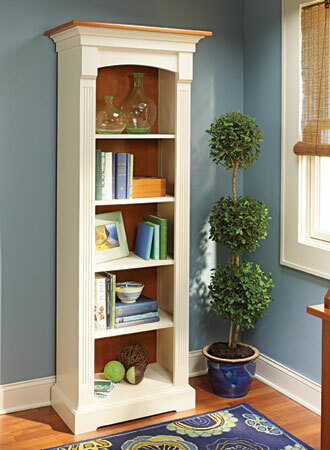 Featuring a classic look with plenty storage, this two-tone finished bookcase is sure to look at home in almost any room in the house. 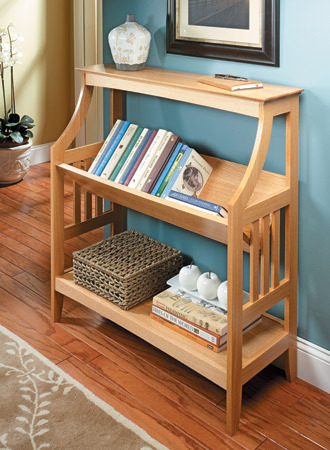 This stylish bookrack can be at home in any room of the house. 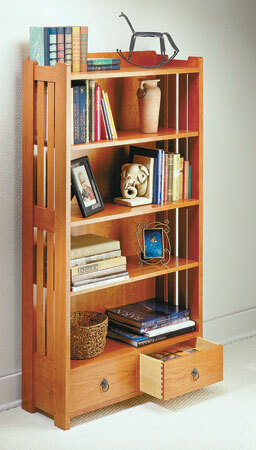 The woodworking challenges make it a great project to build. 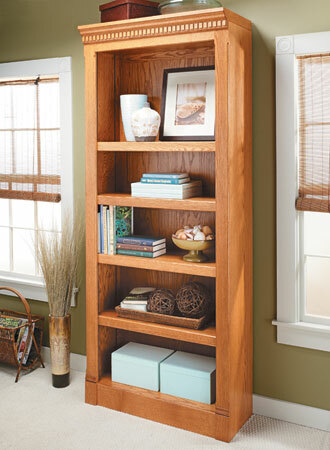 Create a home for all of your treasures with this easy-to-build shelf unit. 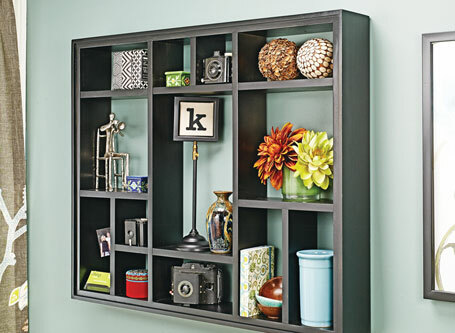 The adjustable shelves make customizing the arrangement a breeze.